Several ladies who are attending convention for the first time have been asking about cards to swap. I took photos of some of mine last year as well as all of the ones I received from others, and here they are! The first three are my first attempts at card making. They turned out pretty good! These below are some of the ones I received in trade for all of mine (only have pics of the three above). Hi all! 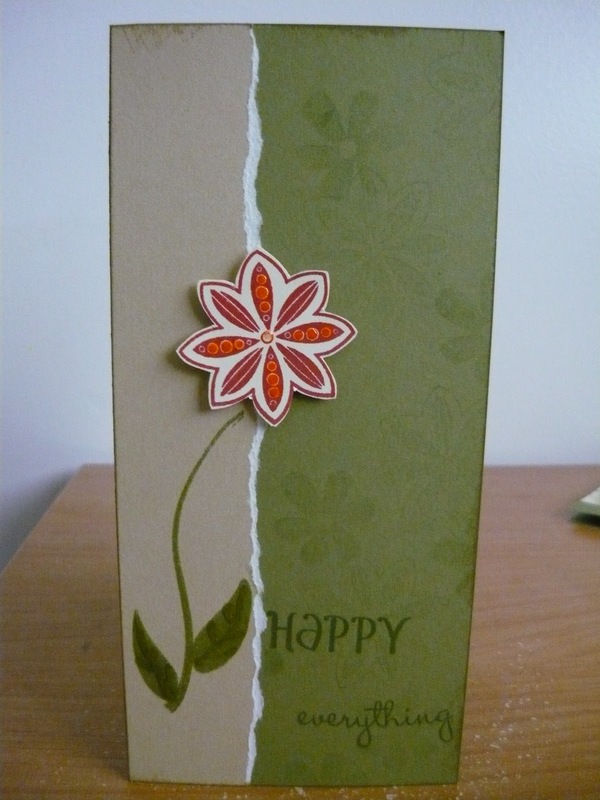 I made another flowerpot card and took pictures this time. This one I made for a co-worker who is celebrating her "29th" birthday on May 15. All products are CTMH except the ladybug which I saw at the Dollar Store and couldn't resist! First, fold up the flap on a Die Cut Kraft card and line up the flap fold with the cutting line on your cutter and the bottom fold with the 1/2" mark.